This blue, white and red mailbox looks like it might have been painted as the French flag (though the blue is mostly lighter than the royal blue, maybe it's just faded?). A Wikipedia article says that the mount side should be royal blue. Hmmm. These might also just be U.S.A. colors... a car in the driveway had a U.S. flag above the window. 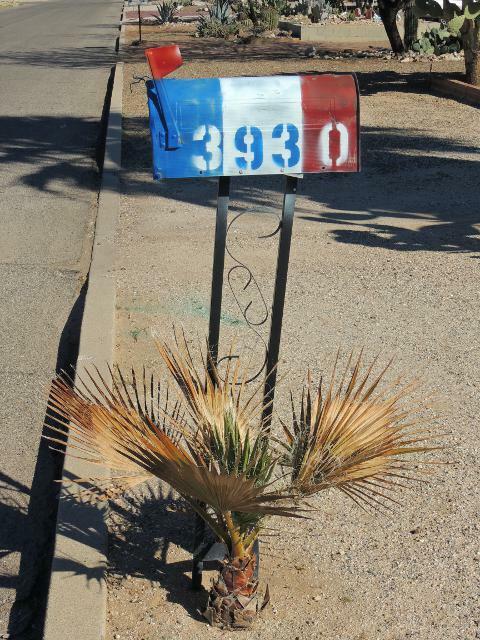 This was the last mailbox I found on my February 26th ride along these streets east of Randolph Park.